With all the saber-rattling coming from the White House, the world’s attention is focused on the all too real possibility of war. The newest round of sanctions levied against North Korea is unlikely to make any difference, according to John R. Bolton, the former U.S. Ambassador to the United Nations during the administration of George W. Bush. “We’ve tried for 25 years, through pressure and diplomacy, and it’s failed,” Bolton told Newsweek in a conversation on Friday afternoon during a break at the Conservative Political Action Conference. 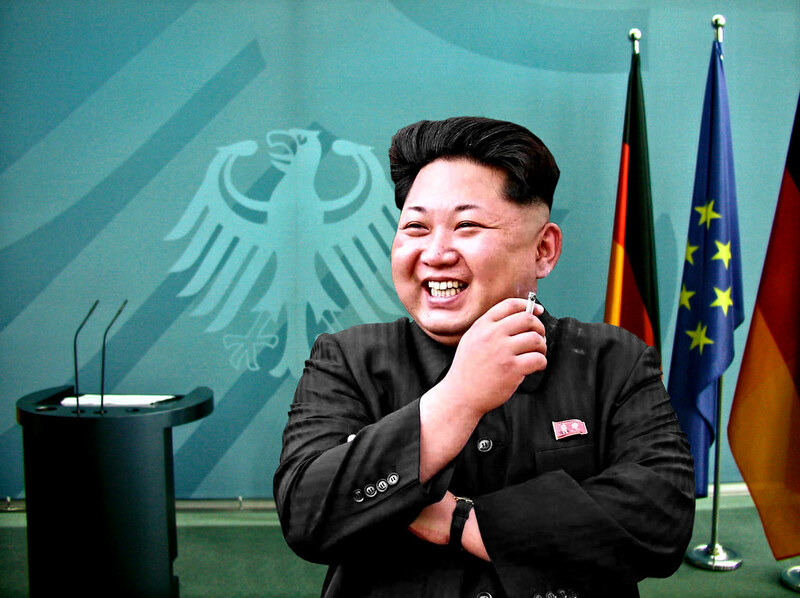 Express UK reported on Saturday that Bolton, a lifelong Republican, warned that Kim Jong-Un is only “months away” from developing nuclear weapons capable of striking the USA in a recent interview with Fox News. With this threat of war looming over the country, it is increasingly important that we consider the cost of our foreign wars, particularly as it relates to the tragic loss of human lives and the sorrow it leaves in its wake. 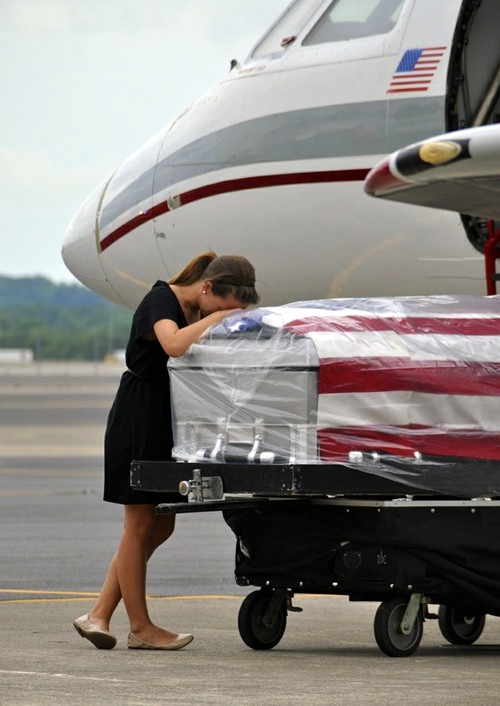 This photo of Ashley Edens receiving the remains of her 22-year-old husband, Army Specialist Jason Edens, serves as a heart-wrenching reminder that the cost of war runs far deeper than many Americans realize (or want to consider). The heartbreaking photo of Spc. Eden’s wife, Ashley Edens, receiving his remains was posted to Reddit nearly four years ago. All too often, we forget the costs in terms of human suffering, loss, the anguish of disabled veterans, the sorrow of the friends and families of those who gave their lives – like Spc. Edens. To show your support for the families of fallen soldiers, please check out the United Service Organizations (USO). You can go here to read more about Spc. Edens here. The friend also posted a link to a video about Spc. Edens “a friend of ours put together,” that you can watch, here.